Articles provide definitions and insights into Computer-Aided Engineering (CAE) analysis with a focus on Computational Fluid Dynamics (CFD). Most people are intuitively aware that the fluid flow of both gases and liquids is inherently transient (unsteady) by nature. As an example, just ponder the movement of leaves on a tree in a breeze or the flow of water from a tap. Less intuitive is that even a relatively steady flow in a wind tunnel has transient velocities that vary at scales and frequencies that our human senses are unable to discern. Such variations are known as turbulence. The treatment of turbulence in the Reynolds-Averaged Navier-Stokes (RANS) equations lies at the heart of most practical Computational Fluid Dynamics (CFD) approaches. 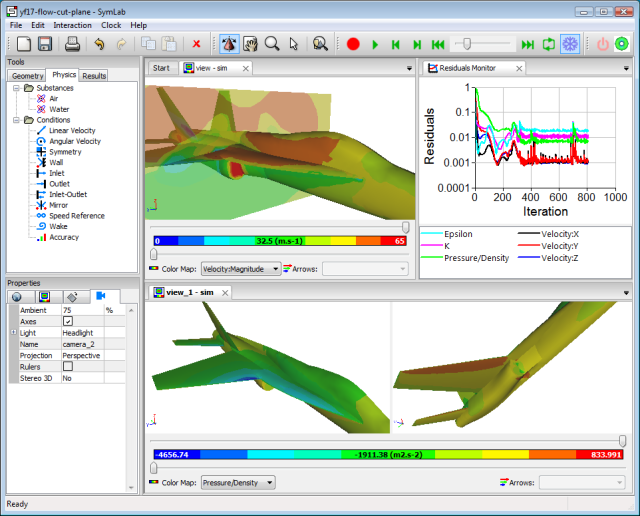 Caedium is a CAE system designed to support CFD and other forms of analysis. The latest addition to the Caedium modular architecture is the RANS Flow add-on, which provides an interactive environment for a selection of RANS OpenFOAM solvers. Figure 1, Caedium RANS Flow Add-On Flow Simulation. We have updated our Windows patch for OpenFOAM to match the latest OpenFOAM release (v1.5.x). Be warned - to build OpenFOAM for Windows with a cross compiler requires expert knowledge of Linux utilities and compilers. Dimensionless (or non-dimensional) numbers, such as the Reynolds number and Mach number, are a general concept (extensively used within fluid dynamics) to allow comparison between similar flow physics carried out at different scales and with different fluid properties. OpenFOAM is a versatile open-source multi-physics simulation toolbox. 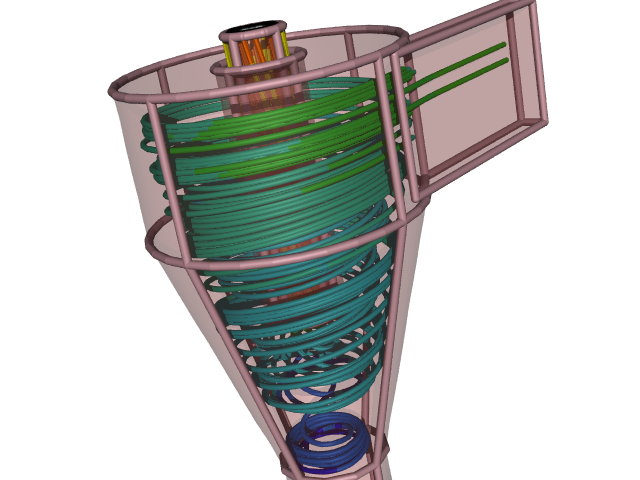 It can simulate fluid flow (CFD), solid dynamics and electromagnetics (CEM). OpenFOAM was originally developed for Unix platforms, such as Linux, and until now there has not been a method for producing a native Windows version. 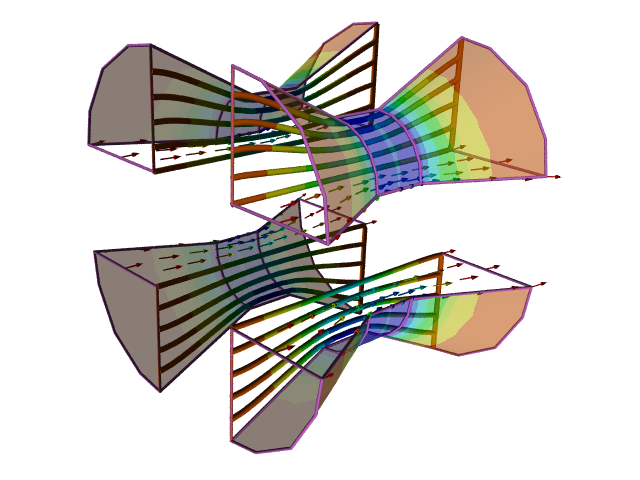 If you are one of the lucky few that creates native geometry within a standalone Computer-Aided Engineering (CAE) analysis tool or within a single Computer-Aided Design (CAD) system with embedded CAE analysis tools, then stop reading now. Just a moment though, even if you have embedded CAE tools within your CAD system, but you import geometry for analysis you will still face geometry exchange challenges. At the core of most Computer-Aided Design (CAD) software tools is a solid modeling system that uses a Boundary Representation (B-rep or BREP). The characteristics of complex objects, such as an airplane, can be assessed prior to manufacture because of their representation as a solid model. Most Computer-Aided Engineering (CAE) analysis tools have yet to embrace true solid modeling – for the pioneering few, such as Caedium, benefits abound. Boundary layers are everywhere. We live within the Earth's planetary boundary layer. Airplanes exploit boundary layers to fly. Golf balls have dimples that alter boundary layer characteristics to maximize their flight time. So what are boundary layers? Dimensionless lift coefficient and drag coefficient values permit comparisons between similar shapes moving through a fluid. Such comparisons are only valid if the Reynolds numbers are also equivalent.